Need an air conditioning company to service your home? We are a full-service AC company that offers ac maintenance, ac repair, pool heater repair, and AC installations in The Villages, Florida. We also specialize in ductless AC or mini split AC installations for lanais or other areas of your home. Call us today to inquire about air conditioning help for your home! Interested in ductless air conditioning in The Villages? Call us today and schedule your free mini split AC estimate! We can answer any questions you may have and give you pricing on a variety of equipment. Our installation crews are experienced and friendly. We always leave our job sites spotless, and we pride ourselves on high-quality work. Don’t compromise, call Coast to Coast for your mini split AC installation in The Villages. 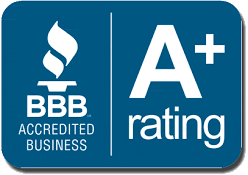 Need AC repair in The Villages, Florida? Schedule your service call with us! 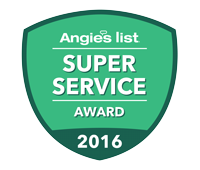 Our technicians are NATE certified, so you can rest assured knowing you have the best guy for the job servicing your air conditioner. Our AC repair visits always entail a thorough troubleshooting of your unit to correctly identify the issue. Once it is located, we show our customer what the problem is, explain the solution, and let our customers know up-front what it will cost to fix the ac unit. Once we receive approval, we remedy the issue. Our job sites are always left cleaner than when we arrived. Don’t skimp out on quality AC repair in The Villages! Call us! Has your air conditioner seen better days? Call us today for a free, no obligation quote! Our staff will walk you through replacing your AC system. We start off by visiting your home and taking measurements. We take special care to make sure the unit you will have installed and your ductwork are the proper size. After we have an idea of what your home needs, we then provide you with options. Whether you want the most expensive, highly advanced AC unit, or the budget-friendly one, we have you covered. With Coast to Coast, you never have to worry about the job being done right. We only install high-quality AC equipment, and we don’t take shortcuts. Many AC companies make their install crews do two installations a day. Our crews only do one, which guarantees your new air conditioner is installed correctly. For Ac installation in The Villages, choose Coast to Coast! Need Maintenance done on your home’s air conditioning system? All air conditioning units require periodic maintenance if you want to maintain efficiency and keep those energy bills low. AC maintenance also helps prevent premature failures of your air conditioner by catching little problems early. Having to replace a compressor, coil, or entire system can cost you big money! Save yourself and your AC unit, Call Coast to Coast Heating & Air today!